Back in the 1990′s, famous Hollywood director, James Cameron, had already made a name for himself working on such movies as Terminator and Aliens. 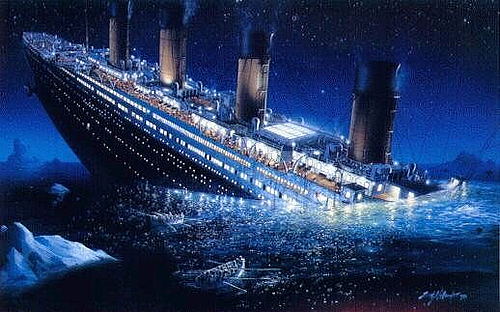 However, Cameron was looking for a new project, and images of icebergs, combined with his fascination for the RMS Titanic made the choice for his next movie obvious. 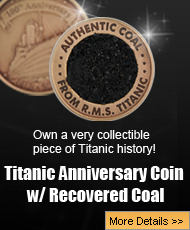 The tragic sinking of the Titanic back in 1912 is something the world had mostly forgotten about, but a oceanic explorer named Dr. Robert Ballard, had brought the sunken ship back into the attention of the world when he found her rusting remains in 1985. Once again, the world was talking about the Titanic, and it seemed only natural for Cameron to make a movie about her short life. Despite the long shooting schedule, A-list actors that were part of the cast, and the most impressive special effects that were especially created for the film, there are still some movie mistakes that people are still talking about even as the iconic film turns 20 this year. Here is the rest of the list of Titanic movie mistakes. 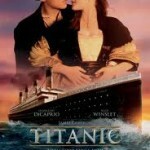 There is nothing more memorable in the Titanic movie then when Old Rose is storytelling. 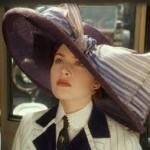 The entire crew of the exploration ship was riveted to every word Rose had to say, and when the movie begins, one of the most memorable scenes is when Kate Winslet raises her head in her giant purple hat. 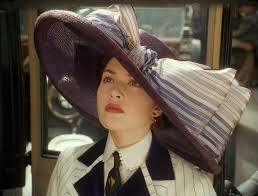 With her bright red hair, her sharp blue eyes, and that giant hat, Kate Winslet never looked more lovely. However, on the left cheek of Kate Winslet is a beauty mark, and later on, in the scene after her near-suicide and she is talking to Jack, the mole is now on the other cheek. and while some people did not notice it, others did and pegged it a movie mistake. 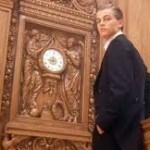 Another memorable scene from Titanic is when the First Class passenger Rose heads into the Third Class area with Jack. After having a very boring dinner with those of her class, Rose needs fun, and Jack offers to take her to a real party. 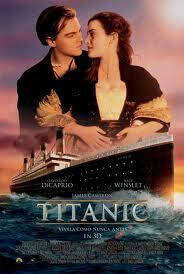 One activity at the Third Class party was dancing, and the camera is focused on Jack and Rose. In one shot, Jack’s hair is in his face, but then in the next, its all slicked back again, which clearly is a very obvious movie mistake. Right after the Titanic struck the iceberg, the tension in the movie really goes up. 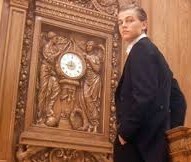 When Jack Dawson is falsely arrested for stealing Rose’s fancy diamond necklace, he gets taken below decks. When Rose discovers the truth, she goes below to rescue Jack, and the deck below was already filling with water. Jack is handcuffed to a pipe, and she cannot find the key to free him. Rose finds an axe in a glass box on the wall, but those with sharp eyes will notice she breaks the glass twice to free the axe. 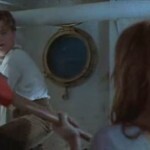 In the scene when Rose uses the axe to free Jack from the pipe he is chained to, his tan suspenders are there one minute, but then are gone the next. 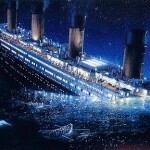 When the RMS Titanic starts to sink in the movie, the angle the ship is at is quite extreme. Because the deck is sloped, people on the ship actually began to slide toward the water. However, becuase this is a film, it is important to keep it as real as possible, so the stunt people were hooked up to wires, which would give the illusion of the sloping decks. During some of the most intense sinking scenes, the wires that the stunt men and women were hooked to can be seen. While the movie itself is heavy in computer graphics, not everything can be fixed with a computer including visible equipment. James Cameron has built a reputation as being one of the greatest filmmakers in Hollywood. Back in the 1990′s, Cameron decided to make a movie about the greatest ship disater in history, the sinking of the RMS Titanic. In 1912, the ship, which was the biggest in the world at that time, left Southampton, struck an iceberg, and sank into the cold water with over 1500 people on board. The movie that James Cameron created was the biggest movie in the world for 12 years, but despite how much the world embraced it, the movie itself does contain some movie mistakes. Whether its Rose’s beauty mark switching cheeks, or Jack’s hair suddenly going from messy to combed, the movie is still popular even 20 years after its initial release, and will no doubt continue to be just as beloved today as it was in 1997.